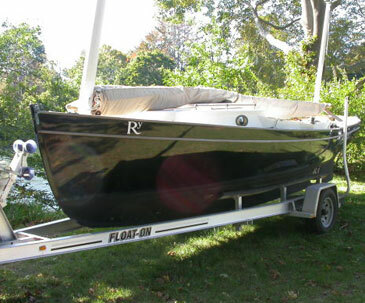 I spotted this Romilly for sale in Newport Rhode Island at a remarkable cheap price and thought it might interest some of our American readers. The 22’ Romilly Lug-Yawl is a good looking, English built boat which is great for day sailing or the occasional weekend cruise. 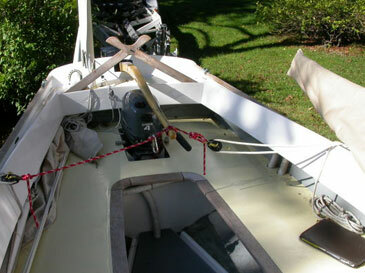 With her huge cockpit, easily managed center board and lug-yawl rig she has excellent sailing qualities, especially to windward. 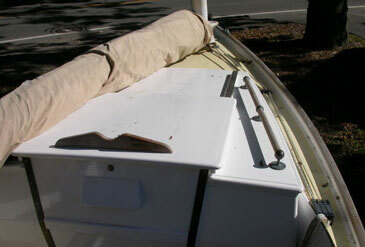 She comes with an aluminum trailer with stainless steel disc brakes and a four-stroke Yamaha outboard in a well. 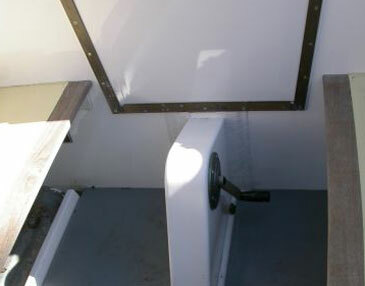 Her carbon fiber masts are easily managed by a single person which opens up unlimited sailing venues. 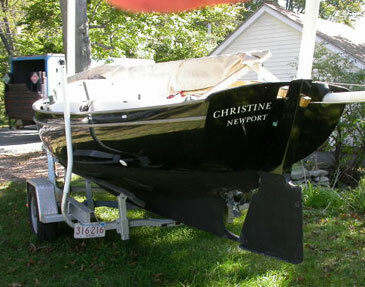 “Christine” has been lightly used and is ready to get you on the water in tax-free Rhode Island. I bought this boat over a year ago. Good to know. Now I can stop fantasizing about it. Is she as much fun as she looks? If you ever think about selling her, I’d be interested in hearing from you. mckee [the first letter of my first name] at gmail dot com.